I made a scarf for my mommy, based on this pattern that I posted previously. 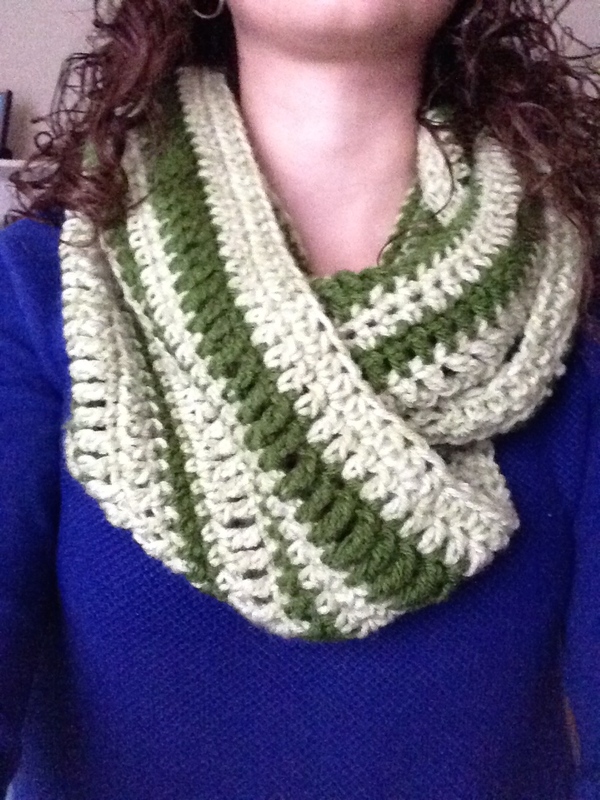 I used Vanna’s choice yarn in seaspray mist and kelly green and a J hook. 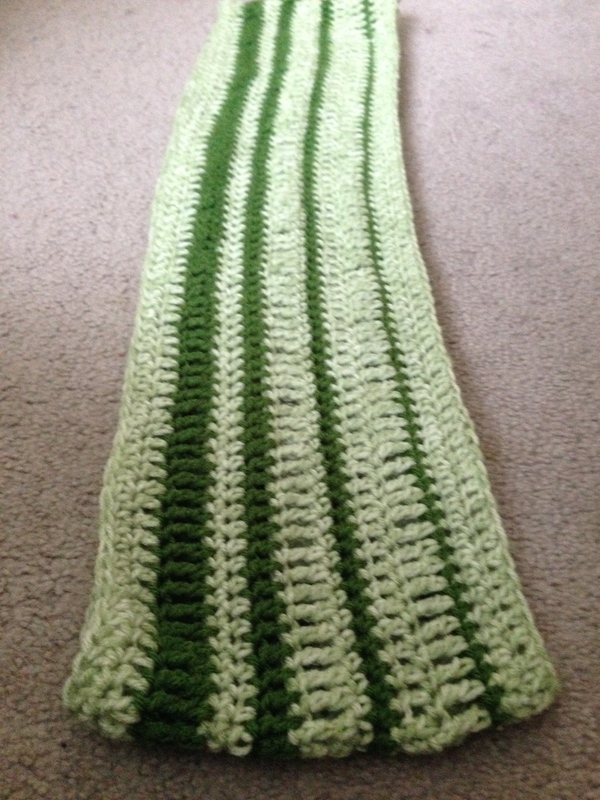 I alternated between hdc, dc, and tc stitches and did two rows of light green for every row of dark green.